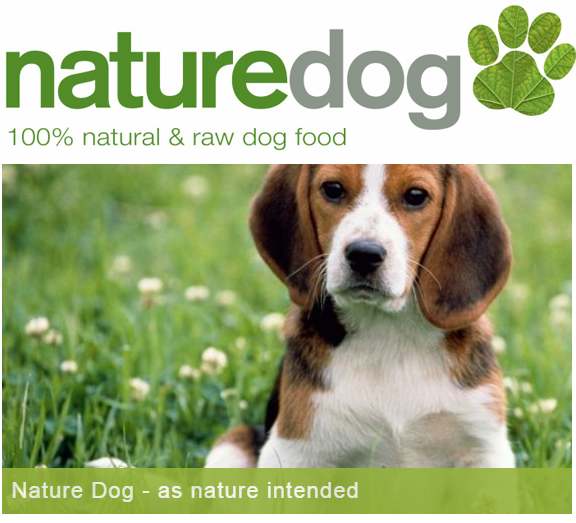 Nature Dog is 100% natural & raw dog food homemade and delivered straight to your door. It gives your dog all the nutrients it needs to live a healthy, long life. It is a delicious blend of fresh raw meat, raw meaty bones, and fresh raw vegetables and fruit. Unlike some other dog food claims to be natural and healthy, Nature Dog is FREE of any preservatives, free of colours, free of chemical additives, contains no fillers such as pasta, grains and rice, and is NOT cooked. Nature Dog is conveniently delivered to your door in resealable pouches, either weekly or fortnightly. Nature Dog will transform your dog into a healthy, non-smelling, sleek-looking canine with a shiny coat, healthy teeth and fresh breath. When it comes to feeding your pooch, there are hundreds of options available. Only one is based on what nature intended and is truly in the best interest of your dog's health & longevity - Nature Dog. For more information and to view our products please visit our website.